This function allows the users to enroll student in public examination. Roles Involved: School Examination Secretary. 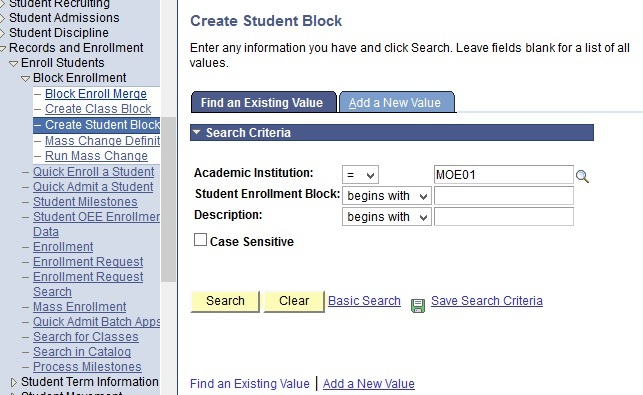 Navigate to Main menu > Record and Enrollment > Enroll Student > Block Enrollment > Create Student Block. 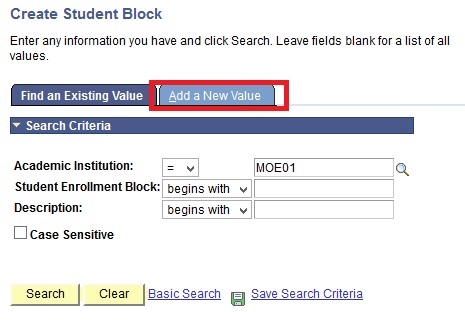 Click Add a New Value Tab to create Student Block. 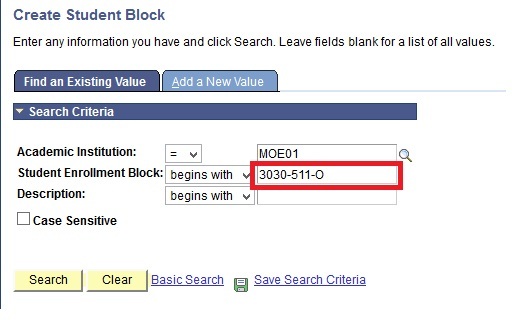 Enter Student Enrollment Block into the empty field. 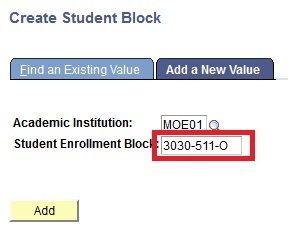 Enter the Description of the Student Enrollment Block into their respective fields. Enter the activated Student’s ID and Academic Career. 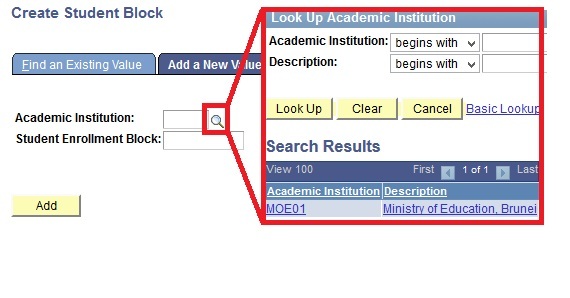 Modify the details of the Enrollment of Student Block.